Madonna arriving for the UK Premiere of W.E. at Odeon Kensington High Street, London. 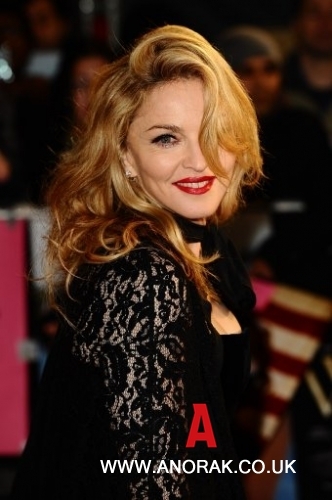 MADONNA looked fantastic at the UK Premiere of W.E. at Odeon Kensington High Street, London. It’s the bipic in which Andrea Riseborough plays Wallis Simpson and James D’Arcy does the abdicated King Edward VIII. Crowds flocked.